Looking for a gay active holiday this summer? Look no further! 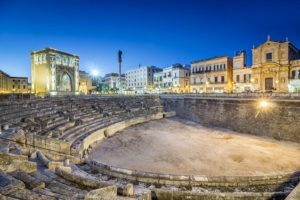 Check out the amazing experiences we at Italy Gay Travels have planned for you this year between end of August and November in Puglia! Amazing landscapes, delicious food, the hottest men: what is not to like about Puglia,the beautiful region in Southern Italy where we are based? We are so sure about this that we are inviting you all to discover this part of Italy in the next few months! What are you planning to do these upcoming months of September and October? Whatever kind of holidays you are into, you will find the perfect option you are looking for. Do you feel like Christopher Columbus, always on the go on a sailing boat hunting for the next unknown land? Join an amazing Gay Sailing Trip at the end of August, from Italy to Greece, and back: click here for the full itinerary. The tour will start in the beautiful port city of Leuca, the South Easternmost part of Italy. This is a gem in the south of Italy. Leuca has all the charm of ancient Roman emperors while still being without the hordes of tourists. We will welcome you with a glass of Prosecco of course (this is Italy!) and let you get ready for an amazing sailing week in the Mediterranean sea. If you have never sailed, fear not, we will show you the ropes to ensure you don’t go overboard. We have selected only the best local crew to keep you afloat as we cross the Adriatic sea and head to the beginnings of the gay culture (Greece that is). This exclusive active holiday is a 7 day, 6 nights adventure stopping at islands and ports on the way where we can explore, sunbathe, swim, meet the locals, eat out and plenty more! The sailing trip starts and finishes in Leuca, but you might want to extend your trip and explore Salento, this southern region of Puglia. Why not explore the beaches in Gallipoli or Otranto and take in some of the amazing sights along the way? Are you an amateur cyclist? This Italy Gay Travels Bike Tour will let you explore the amazing surroundings of Puglia on two wheels. We will focus on the typical food, wine and cheeses of the region, while enjoying beautiful landscapes. Make haste though: this exclusive active holiday will take place at the beginning of September (September 3-9 2017). There are only a few spots left. Book now to avoid disappointment. This tour is available to anyone with a minimum level of cycling. So, even if you do not cycle like Pantani, worry not. You will enjoy our tour while experiencing the best Puglia has to offer. We will spend 4 nights in exclusive accommodation right in the center of Lecce, the so-called Florence of the South. From there we will visit some amazing towns, such as Otranto, an enchanted coastal city with East meets West architecture. After reaching Gallipoli by bike, we will spend the last 3 nights of the tour in this location. We will have the opportunity to enjoy the fun summer nightlife of the area and to get to meet its friendly locals. Do you feel like Nigella Lawson? Like her. you are you in love with Pasta, Lasagne, Burrata, Pizza and all sorts of Italian Delicacies? Some of the best Italian recipes come from Puglia: learn how to cook like a local, while enjoying the best Food and Wine of the area. Join our Luxury Food and Wine Tour and experience the best that Italy has to offer together with the Bear Naked Chef. This will be a gay active holiday like no other: you will discover the best olive oils, wines and cheeses that Puglia has to offer in a luxurious environment. This experience will take place in an exclusive farmstead in the surroundings of Ostuni, the worldwide well know White Town. From there we will explore some of the most beautiful places of the region, such as Martina Franca, Alberobello, Ostuni, Polignano a Mare and Lecce. Are you a meditative person? Willing to escape the frenetic city life and looking for the mind, body and spirit experience? Look no further! Our exclusive Gay Yoga Retreat, October 7-14 2017 is the perfect gay active holiday for you! We will spend a full week in a typical Masseria (farmstead) set within acres of olive groves. We will be far away from the chaos of the city. Therefore this setting makes it the perfect spot to relax and tune out from the noise of our constant fast paced lives and really focus on yourself! We will stay near Ostuni, the White Town. Our exclusive Gay Yoga Retreat also allows you to experience more than just Yoga. We can hop on a bicycle and visit the amazing beaches, explore the quaint towns and villages, trek through the natural landscapes and dine in beautiful cities of Puglia. Are you still doubting whether to join in any of the amazing Active Holiday Experiences that we at Italy Gay Travels have planned for you? As usual, if you have any questions, don’t hesitate in getting in touch with us via email. Ciao, and see you soon in sunny Puglia!